Cleaning your house and gathering all your cleaning products is a big of a stress by itself. Not to mention, you always need to make sure what to use so you won’t bring more chemicals into your house. Thus, it is always a better option to make the solutions yourself. But did you know that you could actually do your own reusable dust cloths? I mean, it is quite affordable and easy to make. Thus, keep reading and learn to DIY reusable dust cloths to always keep your house clean. In a bowl, combine very well the vinegar, water, and essential oils. 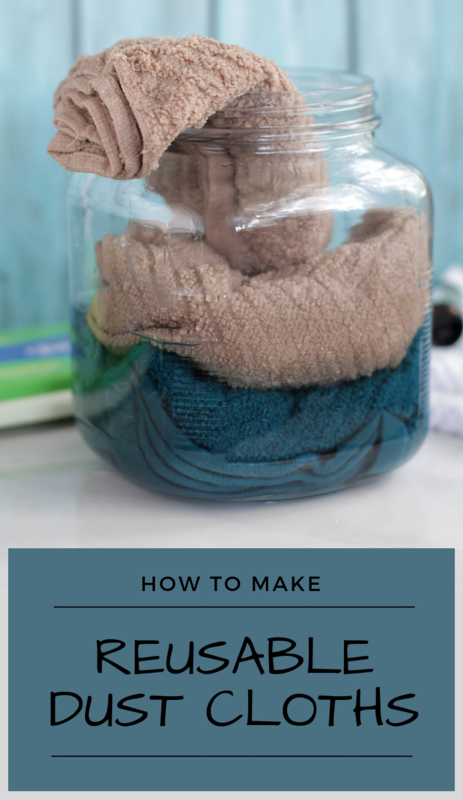 Then, put the old washcloths in the large mason jar, trying to fit as many as you can. Next, pour the solution you just made into mason jar until it is completely full. Lastly, secure the mason jar tightly with a cap and let the socks fully absorb the liquid overnight. Now, you can use these reusable dust cloths one by one whenever you need. If you keep the rest of them in the tight jar, they will last you for approximately 2 weeks. For more freshness, you could also store the mason jar in the refrigerator.